Dompet Dhuafa Australia is a partner you can trust. We committ to be transparent in its operations, by making our documents publicly available. 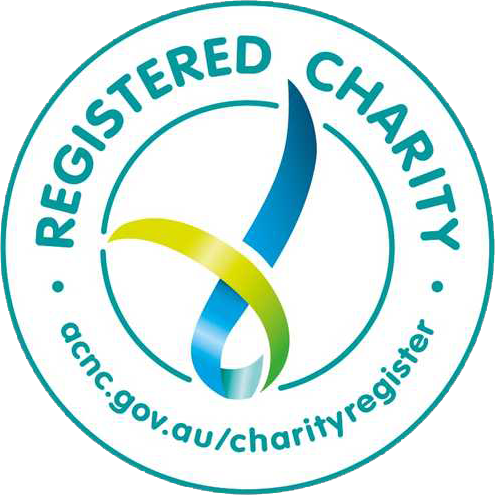 Access to this site is provided by Dompet Dhuafa Australia (ACN 152 232 632) on the terms and conditions set out in the pages below. Usage of this website carries agreement with and acceptance of these Terms (as amended from time to time). Dompet Dhuafa Australia respects, and is committed to protecting your privacy. We collect personal information about individuals including members, supporters, volunteers, contractors, job applicants and people whose human rights we work to protect. The personal information which we collect and hold generally includes your name, address, date of birth and contact details (such as your phone number, fax number and email address). You do not have to provide us with your personal information. However if you do not provide us with your personal information, it will be difficult for us to contact you. Without your personal information, we may not for example, be able to issue you with a receipt, offer you employment, help you if that is what you require, or provide you with more information about our work. We collect personal information you provide to us directly, for example, in person, over the phone, by email, via our website or by completing our online or hard copy document to take action in particular campaigns we may be running. We may also collect your personal information from publicly available sources and third parties. warrant that you have that individual’s consent to provide their information to us. If we also obtain your sensitive information, we will only use your sensitive information (such as your racial or ethnic origin or health information) for the purposes listed above, or other directly related purposes or purposes to which you otherwise consent. Any personal information you provide to us may be disclosed, if appropriate, to third parties who provide services on our behalf, such as mail, database, telephone, IT, audit, professional advice, payment processing and research services. We may also disclose your personal information to our volunteers who assist with many of our tasks. We have confidentiality agreements in place with many of our service providers and external agencies, and with staff and volunteers who handle personal information that we provide to them. We will only disclose your personal information for the purposes for which it was initially collected, other directly related purposes or purposes to which you otherwise consent. Other than as stated above we will we not share your personal information. However, it is possible, though unlikely, that we might be forced to disclose personal information in response to legal process or when we believe in good faith that the law requires it, for example, in response to a court order, subpoena or a law enforcement agency’s request. We take commercially reasonable steps to ensure your personal information is protected from misuse, loss, interference and unauthorised access, modification or disclosure. For example, whenever we ask for your financial details online, we use security-encrypted response forms. However, data protection and security measures are never completely secure (particularly for information sent online) and, despite the measures we have put in place, we cannot guarantee the security of your information. You must take care to ensure you protect your personal information (for example, by protecting any usernames and passwords, etc) and you should notify us as soon as possible after you become aware of any security breaches. If you don’t wish to make your financial contribution online, please contact us to receive a hard copy form. When you visit our website, we will collect and store your computer’s assigned IP address, the date and time of your visit, the information accessed and the referring page. We will also collect other non-identifying data for statistical purposes. This information is not linked to your personal information unless required by law. Like many websites, our website may use ‘cookies’ from time to time. Cookies are small text files that the website transfers to your computer through your web browser to enable the website’s systems to recognise your computer. Cookies may also be used to record non-personal information such as the date, time or duration of your visit, or the pages accessed, for website administration, statistical and maintenance purposes. Any such information will be aggregated and not linked to particular individuals unless required by law. You have the ability to accept or decline cookies by modifying the settings in your browser. Please note that some parts of the website may not function fully for users that disallow cookies. If you send us an email, the message content may be monitored by our Internet Service Provider or Dompet Dhuafa Australia employees if email abuse is suspected, or for troubleshooting and maintenance purposes. Email is an unsecure communications medium; it should not be used for confidential correspondence. We take reasonable steps to ensure that the personal information that we collect and hold is accurate, complete and up-to-date. However, we rely on you to advise us of any changes to your personal information to help us maintain accurate, complete and up-to-date information. We will refer your complaint to our Privacy Officer who will investigate the issue and determine the steps that we will undertake to resolve your complaint. We will contact you if we require any additional information from you and will notify you in writing of the outcome of the investigation. If you are not satisfied with our determination, you can contact us to discuss your concerns or complain to the Australian Information Commissioner via www.oaic.gov.au. The material on this web site is protected by copyright under the laws of Australia and, through international treaties, other countries. Unless otherwise specified, all rights (including copyright) in the content and compilation of these web pages and on-line images (including text, graphics, logos, video images, audio clips and software) are owned or controlled for these purposes, and are reserved by, Dompet Dhuafa Australia. This prohibition does not extend to materials on this site which are expressed to be freely available for re-use or replication, subject to the conditions we specify. We support the intellectual property rights of our contributors and supporters who have helped build this web site. If you believe any of the content of this web site infringes any copyright held by you or any other third party please contact the web editor with full details of the items in question. We undertake to comply with all valid copyright requests and will endeavour to rectify any inadvertent rights citation omissions. No trade mark of Dompet Dhuafa Australia or Yayasan Dompet Dhuafa Republika (whether registered or otherwise) may be used without our prior, specific, written permission. Nothing on this web site should be construed as granting, by implication or otherwise, any licence or right to use any trade mark without our written permission. DOMPET DHUAFA®, and the logo ® are registered trade marks of Dompet Dhuafa Australia. Other product names and images on this site may be trade marks or registered trade marks of Yayasan Dompet Dhuafa Republika, Dompet Dhuafa Australia Limited or third parties. The use or misuse of these trade marks, except as expressly authorised, is prohibited. this site, its use, its content or any products or services (including our products or services) referred to on this site. your reliance on the completeness, accuracy or currency of the site or its content (including third party material on this site). This site is designed for general interest only. It is not advice and you should not rely on it. failure of performance, error, omission, defect, delay in operation or transmission, computer virus, loss of data, communication line failure or unlawful third party conduct. accessing any sites or servers maintained by other organisations through links on this site. Links are provided for the convenience of our site users only and without responsibility for the content or operation of those sites. Unless otherwise stated, linked sites and their products and services are not endorsed by us and you link to any such site at your own risk. defamatory, threatening, offensive or unlawful conduct of third parties. We exclude all warranties that otherwise would be implied in any transactions for the supply by us of products or services offered on this site (including warranties of satisfactory quality, merchantability and fitness for purpose). Under no circumstances shall we be liable for any direct or indirect, special, incidental or consequential damages that may arise from your use of, or inability to use, this web site. You indemnify us, our affiliates and our respective employees, agents, third party content providers and licensors from and against all actions, suits, claims, demands, liabilities, costs, expenses, loss and damage (including legal fees on a full indemnity basis) incurred or suffered by you as a direct or indirect consequence of using this site. Without limiting the preceding paragraph, you indemnify us for any loss incurred by us by virtue of any breaches of third parties’ intellectual property rights as a direct or indirect consequence of you using this site. This disclaimer, liability limitation and indemnity does not exclude any rights which by law may not be excluded. You must use this site only for lawful purposes. breaches any standards, content requirements or codes promulgated by any relevant authority, including authorities which require us to take remedial action under any applicable industry code. You must not, without the express permission of the relevant rights owner, up-load, post, transmit or otherwise make available through this site any material protected by copyright, trade mark or other proprietary rights. in any form and for any purpose, commercial or otherwise. You also waive in favour of us and any person authorised by us all moral and similar rights you may have or later acquire in respect of any such material. If you submit material to this site, you permit all other users to access, view, store or reproduce the material for their personal, non-commercial use. You acknowledge that third party materials appearing on this site are not necessarily controlled or monitored by us and that the views expressed are not necessarily ours. edit, refuse to post or remove any material submitted by you. However, we do not assume any obligation to monitor or censor this material. Additionally, we reserve the right to host unmoderated forums. We are not responsible for materials posted to those forums by third parties. This site (excluding any linked, third party sites) is controlled by us from Australia. Any disputes about this site, its contents or your dealings with Dompet Dhuafa Australia must be determined by the courts having jurisdiction in New South Wales, Australia in accordance with laws in force in New South Wales. You irrevocably and unconditionally submit to this jurisdiction. If any provision of the Terms is found by a court to be invalid or unenforceable, the invalidity or unenforceability will not affect the remaining Terms which will continue in full force and effect. We do not warrant that the content of this site complies with the laws of any country outside of Australia. If you access this site from outside of Australia, you do so at your own risk and you accept responsibility for ensuring or confirming compliance with all laws that apply to you as a result of that access or any consequent transactions or dealings with us. Nothing on this site constitutes an offer to provide goods or services in any jurisdiction if to do so would contravene the laws of that jurisdiction. You are responsible for ensuring that your use of this site is lawful, does not infringe any third party’s rights and does not breach any standards, content requirements or codes promulgated by any relevant authority (including relevant internet industry codes of practice). Direct Debiting through BECS is not available on all accounts. If in doubt, please check with your Financial Institution. You are advised to check your account details by contacting your Financial Institution. Your account will be debited on the 17th of each month. If the due date falls on a non business banking day, the payment will be processed on the next business banking day. It is your responsibility to ensure sufficient clear funds are in the nominated account when payments are drawn. If the transaction is returned unpaid, we will contact you seeking instructions. Should you wish to cancel, defer or make alterations to the direct debit arrangement or stop an individual payment, please write to our Supporter Relations Team, Dompet Dhuafa Australia, 178 South Terrace, Bankstown, NSW 2200 giving 14 days notice. We will give you 14 days notice if we vary the debit arrangements such as defer the drawing, alter the schedule, increase or decrease the regular drawing, stop an individual payment, dispute any debit, suspend or cancel the direct debit arrangement. Should you have any queries or dispute any debit item, please contact Dompet Dhuafa Australia in due course. If our investigations show that your Account has been incorrectly debited, we will arrange for the Financial Institution to adjust your Account accordingly. We will also notify you of the amount by which your Account has been adjusted. If, following our investigations, we believe on reasonable grounds that your Account has been correctly debited, we will respond to your query by providing you with reasons and copies of any evidence for this finding. If we cannot resolve the matter, you can still refer it to your Financial Institution, which will obtain details from you of the disputed payment and may lodge a claim on your behalf. Your records and account details will be kept private and confidential to be disclosed only if requested by yourself or Financial Institution if a claim is made for an alleged incorrect or wrongful debit. If any provision of this DDR Service Agreement is found to be illegal, void or unenforceable for unfairness or any other reason, the remaining provisions will continue to apply to the extent possible as if the void or unenforceable provision had never existed.